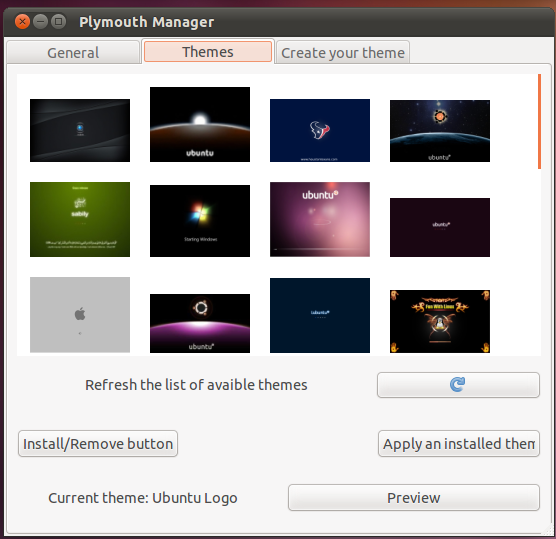 Plymouth Manager is a software written in python by an italian Ubuntu user that can help you in the configuration of your Plymouth.You can use this tool to change boot theme and resolution. ‘make compatible’does nothing nor the resolution changes. This doesnt seem to do anything in relation to managing Plymouth. Is there anything missing ? This tool is not working anymore. it is not to manage your local themes. 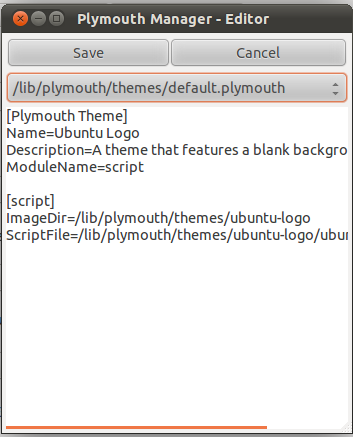 You can create instantly your own plymouth theme. just pick a background, spinner and logo and put one line in your terminal – done. 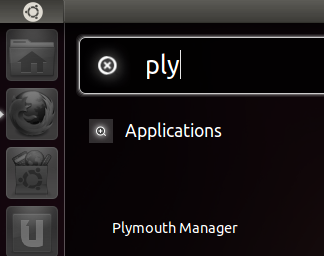 its absolutely alpha and tested only on ubuntu >= 16.04 older versions not supported.